Ludwig van Beethoven (December 16, 1770 – March 26, 1827) was a German composer born in Bonn who spent his musical career in Vienna. 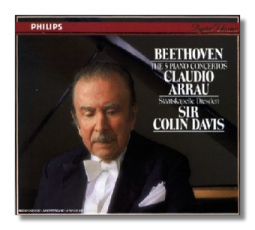 A pivotal figure in the development of the Romantic style, he is one of the most respected and influential composers of all time. In a career that spanned the transition from the Classical period to the Romantic period, Beethoven made his mark in every major instrumental genre of his day, including the symphony, the string quartet, the piano sonata, and the concerto. 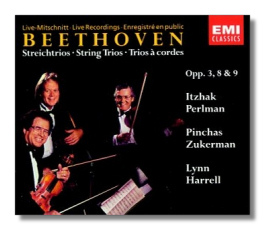 Beethoven's name is synonymous with Classical music: it is his name which invariably first comes to mind when people are asked to name the archetypal composer. The reason for this is his unique combination of innovative genius, moral rectitude and high seriousness. 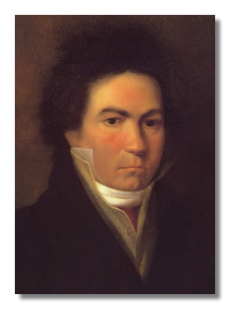 Beethoven was born into a Bonn family of Flemish descent. Both his father Johann and his grandfather Ludwig were musicians at the Court of the Elector of Cologne which was based in Bonn. His father, a severe man who turned to drink as his career failed to blossom, married Maria Magdalena Keverich in 1767 and Ludwig was the first of their children to survive infancy. The young Ludwig was taught music by his father but by the age of nine he had already outstripped his father's musical knowledge and was taken under the wing of Christian Neefe, organist at the Bonn Court, who gave him a conservative but thorough musical training. In 1783 Neefe became director of both sacred and secular music at Court and Ludwig was appointed cembalist-in-orchestra, an unpaid post which gave him responsibility for rehearsing and conducting the opera band. The death of the Elector Max Friedrich in 1784 led to a thorough reappraisal of the Elector's establishment by his successor, Max Franz, and Beethoven received a small stipend for his work (together with his father, who was still in the choir), while Neefe's salary was halved. Beethoven was already composing small works and beginning to come to terms with the demands of writing music. 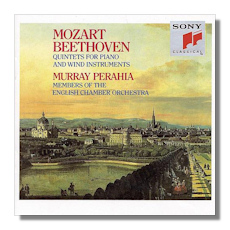 In 1787 he made a short trip to Vienna, probably at the invitation of one of the nobles who admired Beethoven's work and who had good connections in the Austrian capital, for while there Beethoven not only met and played for Wolfgang Mozart, but also for Emperor Joseph II. Whether Mozart uttered the famous phrase: "Pay attention to him: he will make a noise in the world some day or other", it is now impossible to say, but it is likely that the 16-year-old Beethoven made a considerable impression as Franz Joseph Haydn refers to a "Ludwig" in a letter to a friend in Vienna in June 1787 asking him what all the fuss was about. But 1787 was memorable for Ludwig in more chilling ways: in July his much-loved mother died of consumption, the illness accelerated by her escalating alcoholism. In November of the same year his young sister died. During the following two years Ludwig broadened his circle of friends to include Count Waldstein, a music-loving nobleman eager to help the young composer financially and spiritually, and the Countess of Hatzfield, the recipient of Ludwig's dedication in his variations on Vincenzo Righini's Venni Amore. In 1788 the Elector Max Franz reorganized his musical establishment, appointing Anton Reicha as its director and moving Neefe to the position of pianist and stage manager. 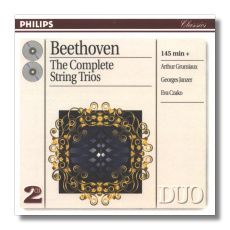 Beethoven played second violin as well as keeping up his duties as organist. The new company performed most of the best operas of the day, including Mozart's. Son now overtook father both within the family and the Court: with Johann now an alcoholic and his singing voice gone, the family was so poverty-stricken that the Elector decided to pay the greater part of Johann's salary to young Ludwig, thus ensuring that the family would at least eat and be clothed. 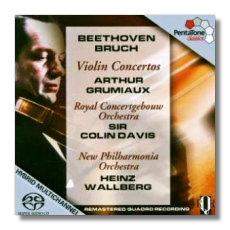 At the age of 17 Ludwig had become the sole reliable source of income for the Beethoven family. The only other event of note between then and Beethoven's departure for Vienna in 1792 was a visit by Haydn on his return from London, during which Ludwig presented his Funeral Cantata, which was duly praised by the great man. In 1792, for reasons which remain obscure, the Elector decided to finance Beethoven's removal to Vienna, there to study at Bonn's expense. 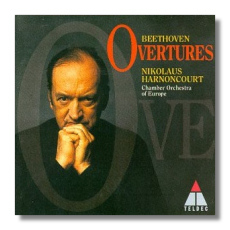 By this time Beethoven had a group of nobles convinced of his musical worth, (including Count Waldstein) who – perhaps encouraged by Haydn's praise – had helped inform the Elector's decision. 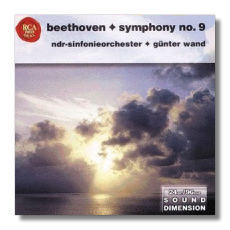 In November Beethoven departed for the Austrian capital, speeded on his journey by the entry by Waldstein in his Leaving Album: "Dear Beethoven, you are traveling to Vienna in fulfillment of your long-standing wish… Labor assiduously and receive Mozart's spirit from the hands of Haydn". Within weeks of his arrival, his father died, and Beethoven, his roots in Bonn withering, brought his younger brothers to Vienna to join him. 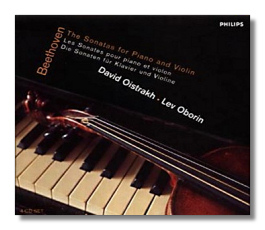 Beethoven took regular lessons from Haydn, even accompanying him to Eisenstadt in 1793, but was clearly dissatisfied with Haydn's level of involvement, and when the composer left for London in 1794, Ludwig transferred to Albrechtsberger who, though diligent in his teaching, thought Beethoven a hopeless case: "He has learnt nothing, and will never do anything in decent style", he commented to a colleague. Beethoven also took lessons on operatic points from Antonio Salieri. In the month that Haydn went to London, however, the Elector of Bonn visited Vienna, and two months later, Beethoven's small allowance was stopped. He was on his own. 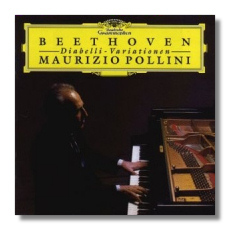 Due to the relative frequency with which Beethoven was engaged by the nobility to give recitals in their houses, this situation did not prove as taxing as it might have done. Prince Lichnowksy and his wife, both former pupils of Mozart, invited him to live at their Viennese house; it is a measure of Beethoven's rapid acceptance in Viennese aristocratic circles that such an offer was made to a young man with much still to prove. For the next few years he made his way by his skill as a performer and by the strength of his personality, a magnetic and charismatic one whose brutal side had quite as compelling a quality as did its philosophical and charming one. 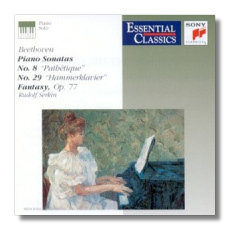 In 1796 his First Piano Concerto appeared, and in 1797, with Napoleon on the rampage through Europe, Beethoven produced one of his first thoroughly original works, Sonata for Piano in E Flat major, Op. 7. 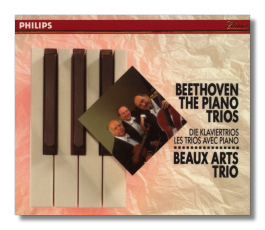 Between then and spring 1800 Beethoven's most impressive music was written for the piano, his Op. 10 and Op. 14 sonatas being outstanding, while the Op. 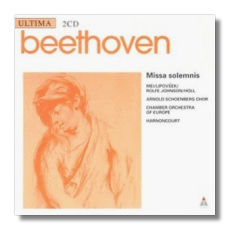 12 sonatas for violin and piano showed his mastery of composition for both instruments. 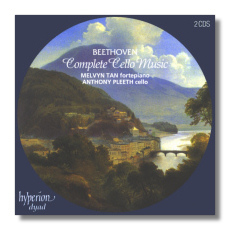 A major step into more adventurous composition came in 1800 with his First Symphony receiving publication, together with the septet and the first six string quartets (Op. 18). Later the same year his Concerto for Piano and Orchestra No.3 appeared. Beethoven now turned from performance to concentrate on composition. He moved from Prince Lichnowsky's and took his first summer holiday in the country – a practice which was to become increasingly important to him in the future. The next five years contained the most extraordinary outpouring of masterpieces: his Second Symphony was published in 1804, but by then the Eroica was well under way (he had been mulling it over since 1798), while his ballet Prometheus and the oratorio Christ on the Mount of Olives had been premiered in 1801 and 1803 respectively. 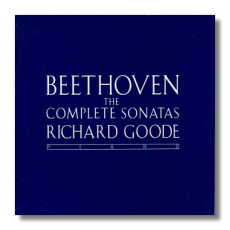 By this time Beethoven had also experienced the vicissitudes of getting his music published in an accurate and acceptable form: his rages, brought on by the number of mistakes he found at proofing stage, became legendary, particularly when, in 1803, he found that one Zurich publisher had not only amended idiosyncrasies in one of his piano sonatas, but had had the effrontery to add four bars to make one passage more palatable to a conservative ear. 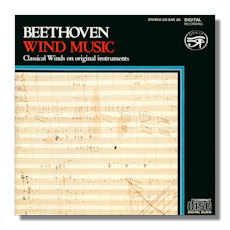 One later printed work that Beethoven corrected received this tirade: "I have passed the whole morning today – and yesterday afternoon – in correcting these two pieces, and am quite hoarse with stamping and swearing". 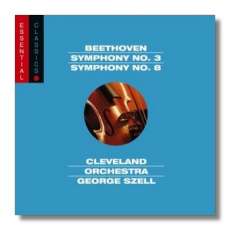 In early 1804 the Third Symphony was being prepared for publication. It had always privately been known as the "Napoleon Bonaparte" symphony – Beethoven saw the great Corsican as a force for freedom and the emancipation of the common man – but in May news filtered through to Vienna of Bonaparte's coronation as Emperor. 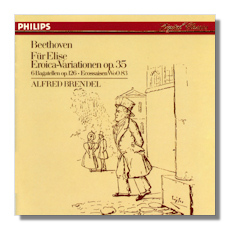 Disgusted beyond measure, Beethoven tore the title-page from his fair copy and substituted instead Sinfonia eroica per festeggiore il souvenire d'un gran uomo. 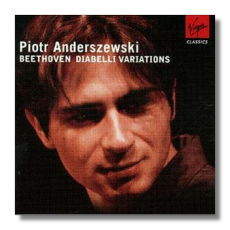 Prince Lobkowitz having received the dedication and exclusive rights to its use, Symphony No.3, Op. 55 ("Eroica") was to remain unpublished until 1806. 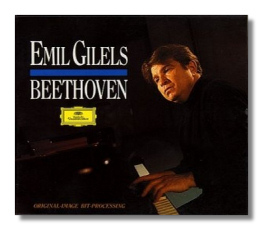 It was characteristic of Beethoven to be engaged upon more than one composition at a time. His restless creative energy would continually spill from one idea to another, one form of expression to another, so it is no surprise to find him working next on the opera Fidelio and its possible production (1806, but destined to be shelved for the best part of a decade) as well as the beautiful Fourth Piano Concerto, the Violin Concerto, the Fourth Symphony and the beginning of the Fifth Symphony. Yet all this was only the beginning of his ascendancy in the world of Classical music, for there was much to come of equal merit. 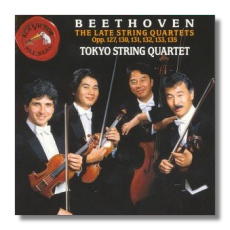 By this time Beethoven was already aware of the distressing rate at which his hearing was deteriorating. In 1802 he wrote a statement – later dubbed the Heiligenstadt Testament – to his two brothers, Karl and Johann, in which he detailed his physical frailty and his attitude towards the death which he saw as alarmingly close, although in reality he still had 25 years to live. His hearing was long thought to be a casualty of hereditary syphilis, but more recent research has come down on the side of other non-venereal diseases of which Beethoven himself had no knowledge and over which he had no control. 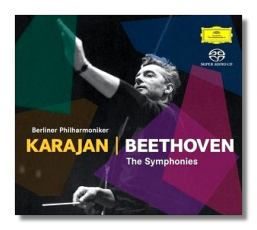 By 1807, when in one concert he premiered Symphonies 1, 2, 3 and 4, (the program lasted over two and a half hours), Beethoven had difficulty in hearing the music. 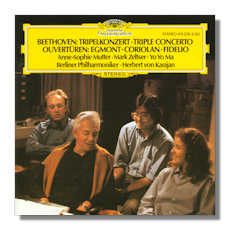 The following year's concert in Vienna premiered the Fifth and Sixth Symphonies, the Choral Fantasia, plus the last-minute addition of Concerto for Piano No.4, and a couple of arias. Beethoven himself was at the piano, but his deafness had reached the point where he could no longer properly follow the orchestra's tempo. The concert was given in December, the hall was bitterly cold and the performance so ragged as to be almost bizarre in places. Yet his will prevailed: all the music was played, and he remained at the keyboard throughout. In 1809, with Austrian exertions against Napoleon at a fever-pitch, Beethoven intimated that he would leave Vienna for better-paid work elsewhere. The general consternation caused Archduke Rudolph, Prince Lobkowitz and Prince Kinsky to club together to pay Beethoven a small but helpful annuity. Though the composer made it clear that he would have preferred to have been made imperial Kapellmeister, he remained in Vienna. He not only stayed, but when the French bombarded the city in the autumn, he completed the composition of his Fifth and last piano concerto, the Emperor. He also wrote a piano sonata which he named Les Adieux when Archduke Rudolf (a close friend as well as a patron) left the besieged capital. 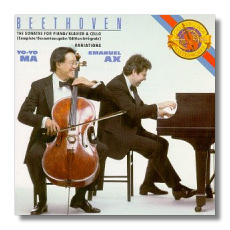 The disastrous effect of the Napoleonic wars on the Austrian economy meant that by the end of 1810 the true value of Beethoven's annuity had shrunk to a tenth of its value. A reorganization of the Austrian currency only made the position worse, but Archduke Rudolf continued to support Beethoven, as did Lobkowitz. But with Kinsky he was less fortunate: the Prince had removed to Prague, dying in 1812 before making arrangements for Beethoven's revised payments. 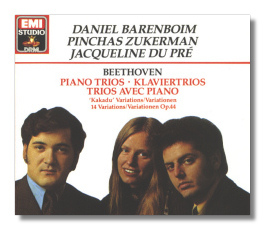 Undeterred, Beethoven sued Kinsky's heirs, and after three years of dogged legal action, secured not only a proper restitution of his annuity, but also payment in arrears. 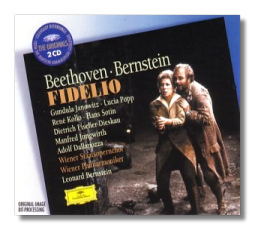 This success followed a year of triumphs, for 1814 had been in many ways a public culmination of Beethoven's career: Fidelio finally saw the light of day, his Seventh Symphony was premiered, and he was commissioned to write new music and mount concerts for the Congress of Vienna. Two concerts were held, and Beethoven was presented by the Archduke to all the visiting royalty and potentates, including the Empress of Russia. From this point on Beethoven's problems multiplied. A confirmed bachelor and a difficult man – who frequently fell out with friends and patrons – he nevertheless retained strong family feelings. 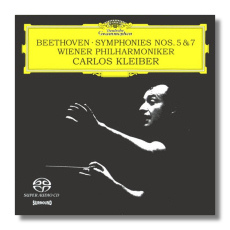 When his brother Karl died in 1815, leaving his nine-year-old son (also named Karl) in Ludwig's care, the composer entered into a long and vexatious dispute with the boy's mother, whom he detested. Unfortunately, the boy held his mother in too great esteem to ever permanently take sides with Beethoven. 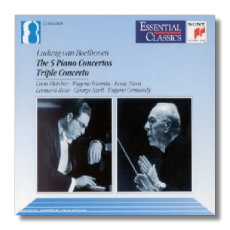 Uncle Ludwig spent the best part of three years in suits and counter-suits and in making arrangements for the education of the child – who proved a very ordinary boy – and it is no surprise that the sum total of his compositions during this period of stress was the three piano sonatas, Op. 106, Op. 109 and Op. 110, plus a number of songs and arrangements. 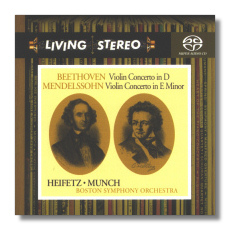 His finances strained (Prince Lobkowitz's share of his annuity had ceased with the Prince's death in 1816), his nerves in tatters, Beethoven was prematurely aged by the exigencies of these years. Nonetheless, by 1819 he had completed a commission to supply a Mass for the installation of Archduke Rudolf as Archbishop of Olmutz: this was his great Missa Solemnis. In the next few years he took up the task of completing a symphony in D minor which he had actually started in 1812: as late as 1822 he finally came up with the idea of including Schiller's Ode to Joy in a choral final movement. His Ninth Symphony, Choral was at last taking on its final shape, and was completed in the summer of 1823. 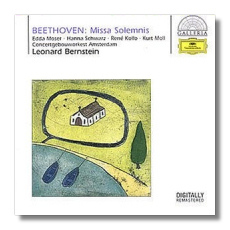 Beethoven had originally planned to premiere it in Berlin, but disgusted by the lack of interest in his new music occasioned by the "Rossini-fever" then sweeping Austria, premiered it instead in Vienna. It was sufficiently successful to produce a second concert, but neither made a great deal of money after the substantial costs had been defrayed. 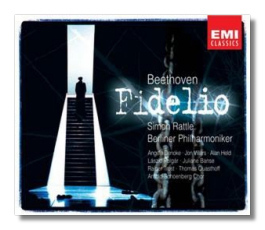 Beethoven was now anxious to make more money on account of the needs of his nephew, and his anxiety to take his fair share, or perhaps more than his fair share, led to conflicts with his erstwhile friends. That this anxiety was well-founded was borne out by the series of disasters perpetrated by nephew Karl: in late 1824 he joined Vienna University, but soon dropped out and moved to a polytechnic with the intention of learning a trade. By the end of 1825 this idea had also foundered and, seemingly without a path to tread, the young man tried to shoot himself. He even failed to do this properly, and was arrested by the police as an attempted suicide. Within a few days he had been ordered out of Vienna, joining the army soon after. He spent the latter part of 1826 with his Uncle Ludwig at the house of Uncle Johann, but this broke up in a series of ugly scenes and in December Ludwig and Karl returned to Vienna. The journey was made in haste in the freezing cold and precipitated Beethoven's final illness. He languished for four months, scarcely aided by the attentions of one of the few doctors in Vienna still prepared to visit the rude and grumpy old man. 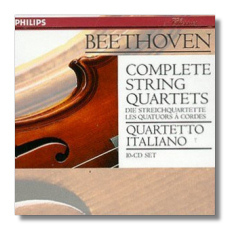 Composing was now beyond him, and although in 1824-25 he had written the last three string quartets – the famous Op. 127, Op. 130, Op. 132 and Grosse Fuge, Op. 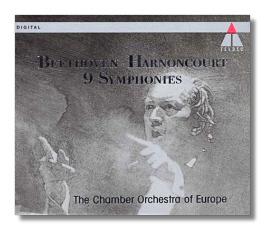 133 – and had sketched out, in his mind at least, his Tenth Symphony (requested by the Philharmonic Society of London), there was to be no more music from his pen. On his death-bed just days before the end, a particularly offensive acquaintance told him: "Your new quartet did not please". By now resigned to approaching death, Beethoven replied "It will please them some day."